’Tis the season to break out of that box — after all, you can take risks and go a little wild with the sparkle and texture this time of year. And as you know the holidays are here and the holiday party invites are rolling in. From your office party to that swanky holiday gala, the right look will set you apart from the crowd. Lets be honest, no matter the location, its time to give your wardrobe a festive upgrade. Shimmering necklines, beaded embroidery, and lace embellishments of designer dresses are what our dreams are made of. From your head to your little sparkling toe, we have you covered with tons of holiday party style inspiration. Ooh la la! Sultry and sassy, this red number will have you ready for kisses under the mistletoe. red is a classic holiday color and you can never go wrong with a curve hugging number that shows off all you assets. Literally! Take note from Lala Anthony as she killed it in the Nicholas dress. Androgynous and monochromatic, a suit has never has never looked better in a grey! Perfect for a swanky party in the city, this suit screams holiday chic! Chrissy Teigen and her baby bump shined in this gold mini with tons of intricate embroidery. Fun and flirty and of course the best way to show off you legs, a number like this is the only way to dance the night away! Keep it simple and ultra chic in all black like Alexandra Maurer did in this Glaw Berlin dress. With a touch of glitter and shine with the snake embroidery, you will definitely be the belle of the ball. From bobs to pony tails, top knots to finger waves, the holidays are a season to spice up your look. 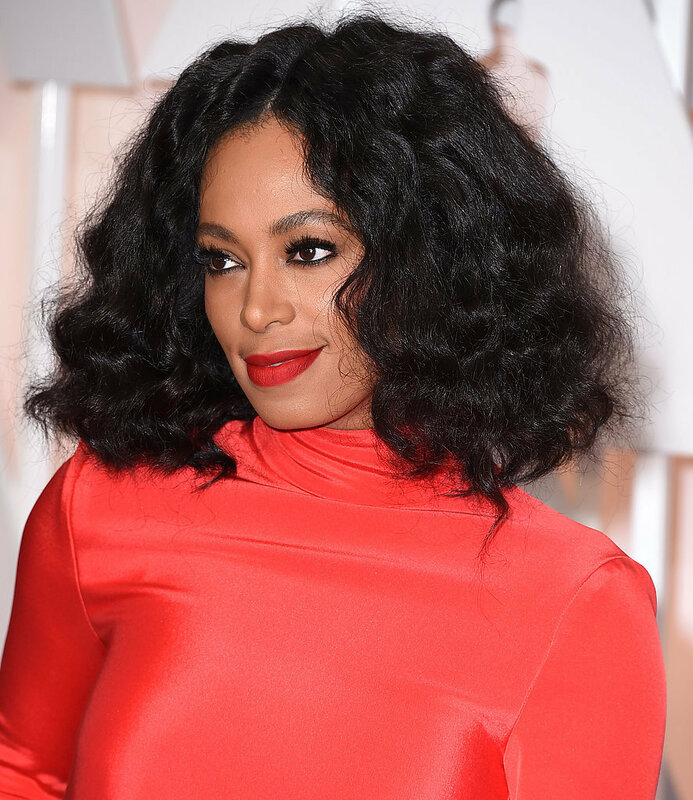 Explore the hottest hair styles from our favorite celebs, just in time for your holiday party! What trend are you loving for the Holidays? Will you be sporting on of these looks at your holiday party?